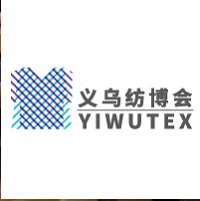 Yiwutex consists of the China (Yiwu) International Exhibition on Hosiery, Knitting, Dyeing & Finishing Machinery and the China (Yiwu) International Exhibition on Narrow Fabric, Braiding & Garment Machinery. It is now regarded as the most professional and international exhibition of its kind in China. Exhibits include a wide collection of textile machinery such as knitting machines, braiding machines, dyeing machinery and sewing machines. Yiwutexis listed as the must-attend fair and ideal souring platform for many enterprises, in particularly for those from knitting industry. On the whole the organisers welcomed on the 3 days of the fair, from 17. May to 19. May 2018, about 280 exhibitors and 8604 visitors on the Yiwutex in Yiwu. The Yiwutex will take place on 3 days from Thursday, 16. May to Saturday, 18. May 2019 in Yiwu.